Also joining us for dinner that night was Beth (Couchy), but she had not yet arrived when the above photo was taken. First a little background before I begin my review. 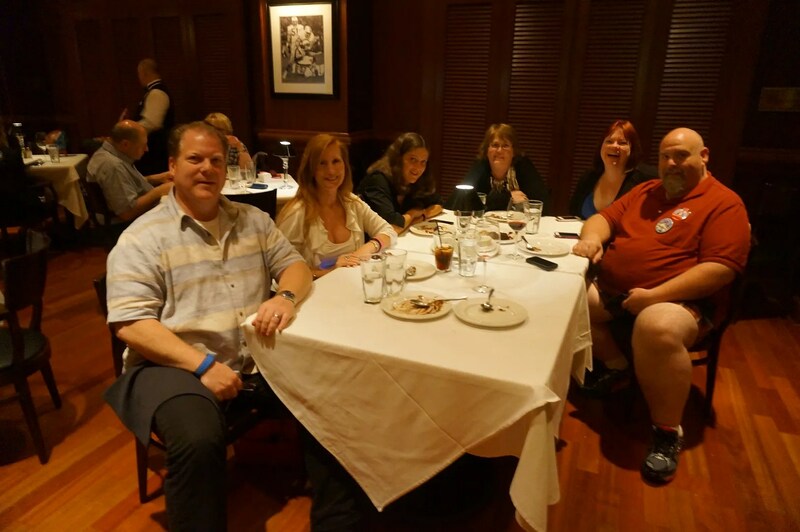 I had dined at Shula’s just once before, that time with my DH and DS. While the rest of our food (appetizer, soups, sides, and dessert) was very good, we were not impressed by our steaks…especially given their price. My DH and I shared the 12 oz. filet and the steak by itself was pretty boring. It had very little seasoning and neither of us liked the Béarnaise sauce which was served with it. 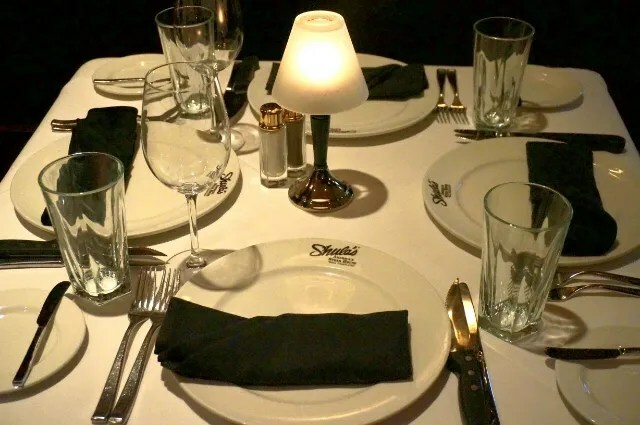 So since we went to Shula’s expecting to be blown away by the steak, we left feeling disappointed. Though my DH has no plans to ever return, I am much more forgiving and hoped that someday the opportunity would arise for me to give Shula’s another chance. Fast forward now a couple of years. 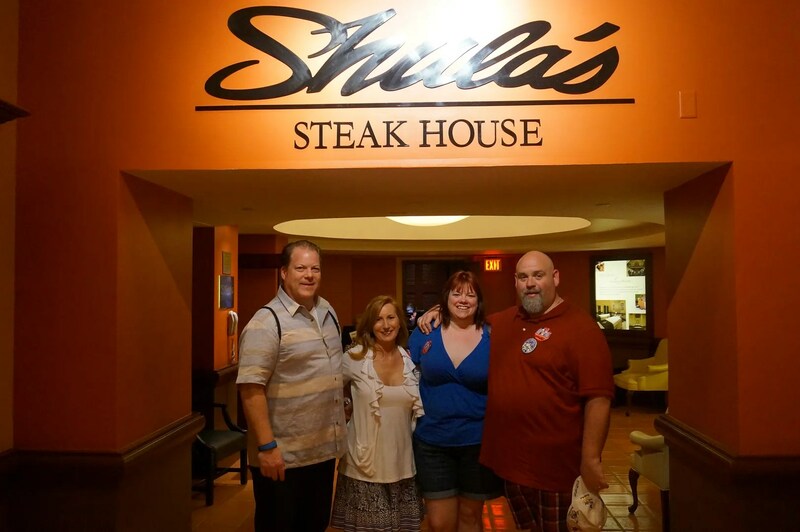 When Paula sent me their dining itinerary for this trip, I was excited to see that they were having dinner at Shula’s on the last night of my trip. Yay!! 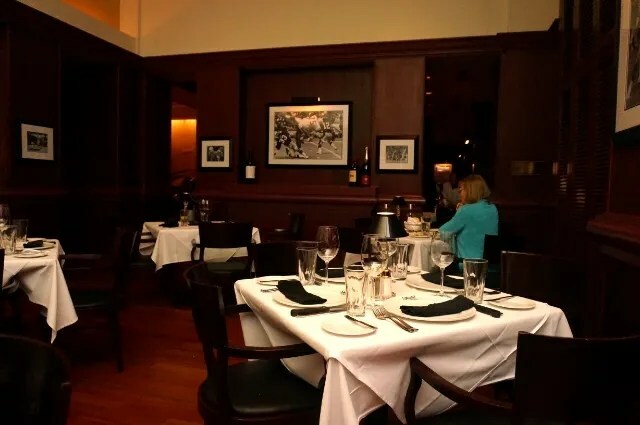 I would be able to return to Shula’s without having to beg, cajole, or otherwise demean myself in order to do so. 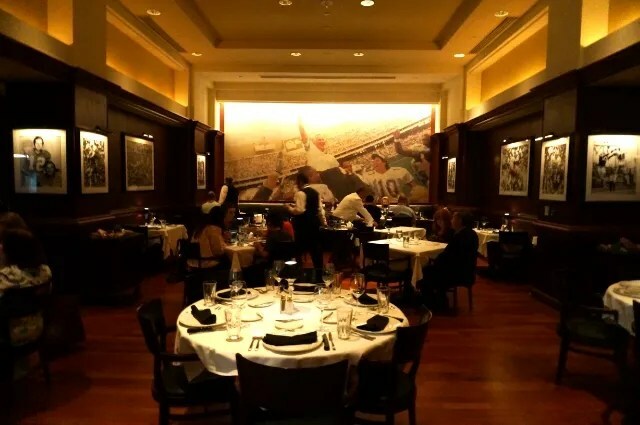 Ok, now let’s take a look inside Shula’s Steakhouse, shall we? 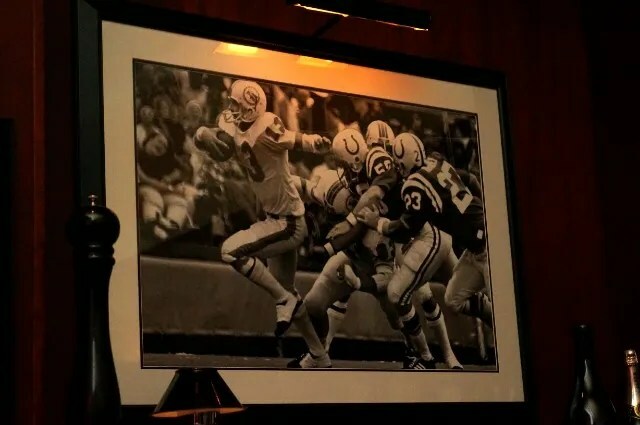 Taking up the entire back wall of the first room that we walked through is a mural which shows Coach Don Shula being hoisted on the shoulders of some his Miami Dolphins team after they won the Super Bowl. 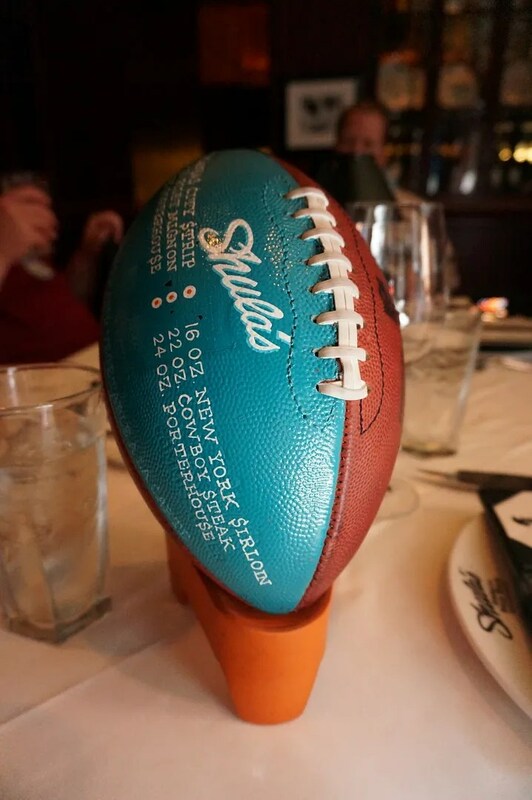 I recall reading a review of Shula’s Steakhouse which said that it was like dining in a dimly-lit football museum. I would tend to agree with this observation. …and here is our table for our party of six. …which Michael quickly put to use by lofting it across the table to me sitting at the other end. Given my athletic skills, I believe you would call this a “Hail Mary” pass. 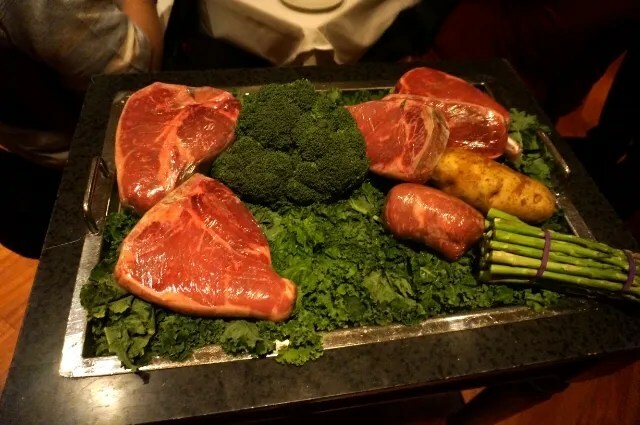 It was about this time that our server brought over the cart with the plastic-wrapped slabs of beef, as well as a few of the fresh vegetables that are available to purchase separately as side dishes. 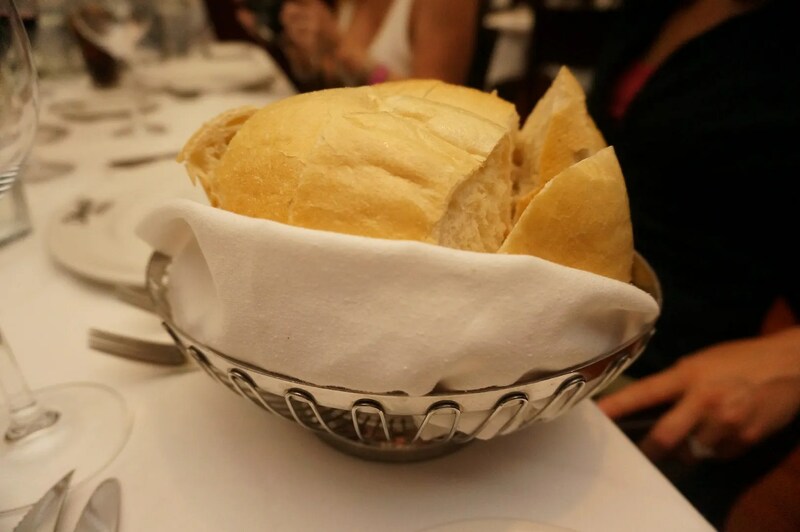 No complaints from us regarding the bread this time. 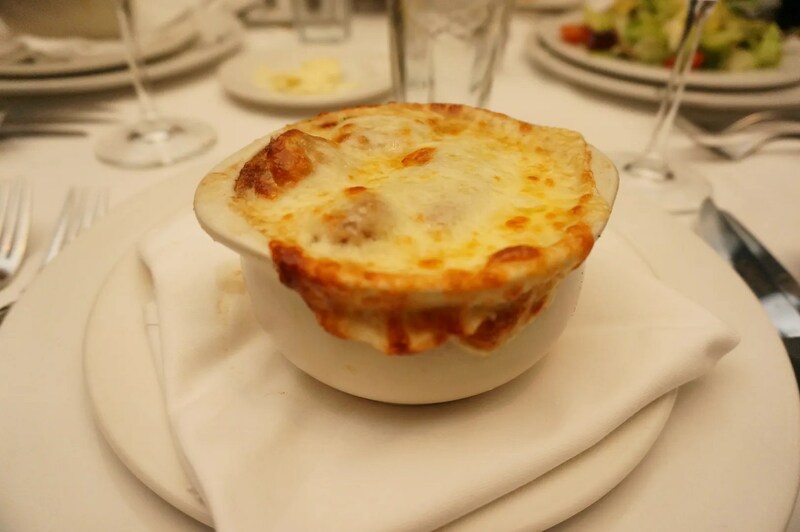 This French onion soup is made with a delicious beefy broth and IMO is far better than any other French onion soup offered at Disney World. For me, in order for FO soup to be at its finest it must be made with beef stock and not chicken (like at Chefs de France) or vegetables (like at Be our Guest). 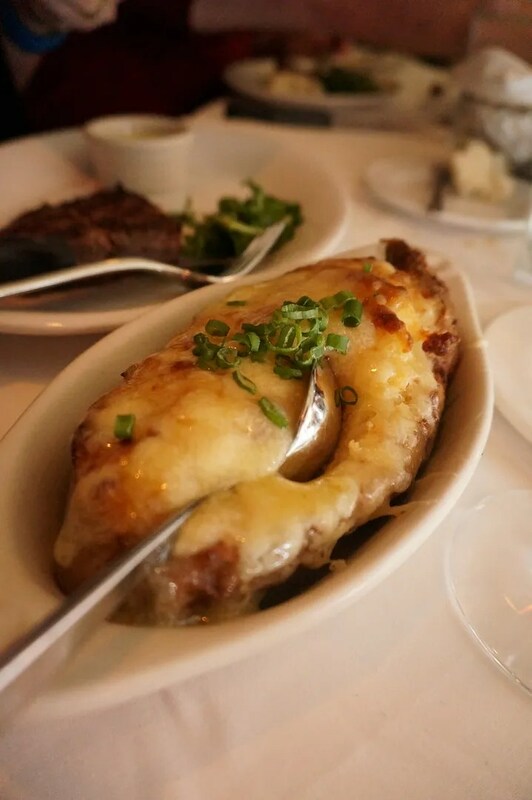 So if you feel the same way about your French onion soup, then I highly recommend the one at Shula’s. 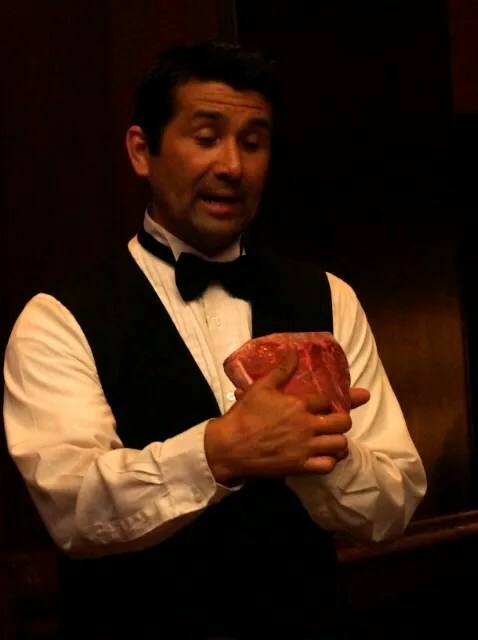 I believe it was Brenda who had learned on a previous visit to Shula’s that you could order this petite filet, even though it is not listed on their menu. If I remember correctly, this 8 oz. portion is served as the “Turf” part of their Surf & Turf entree. 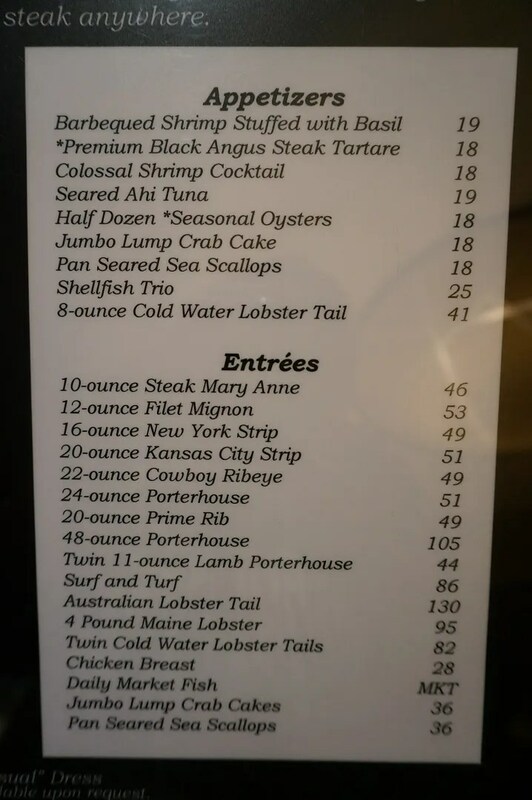 Oh, and in case you were wondering, the charge for this “unlisted on the menu” filet was $45.00, so similarly priced to the $48.00 8 oz. 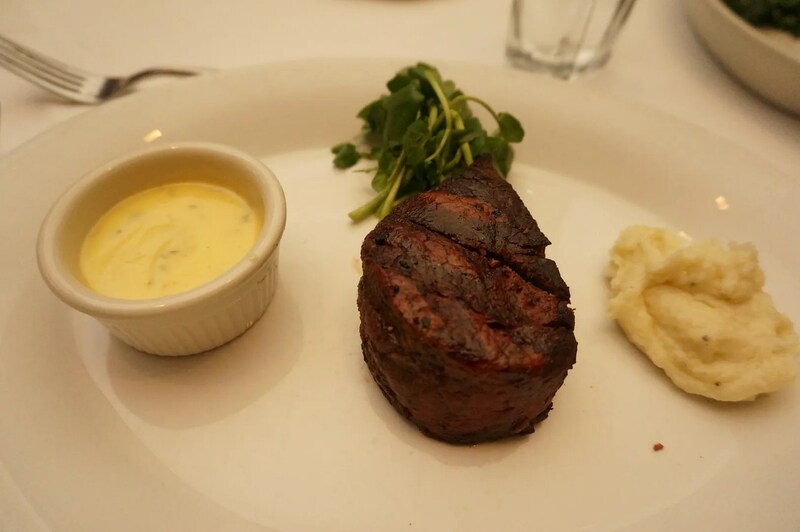 filet served at Yachtsman Steakhouse. 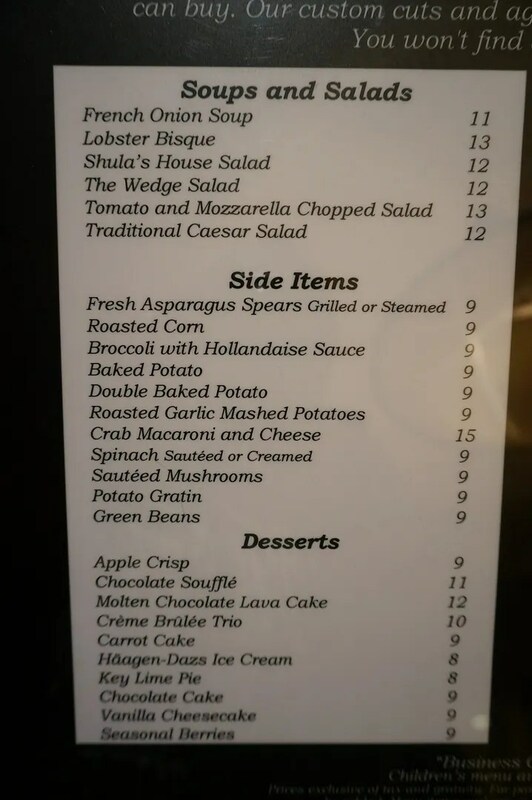 One difference though is that the YSH filet entree comes with mashed potatoes. 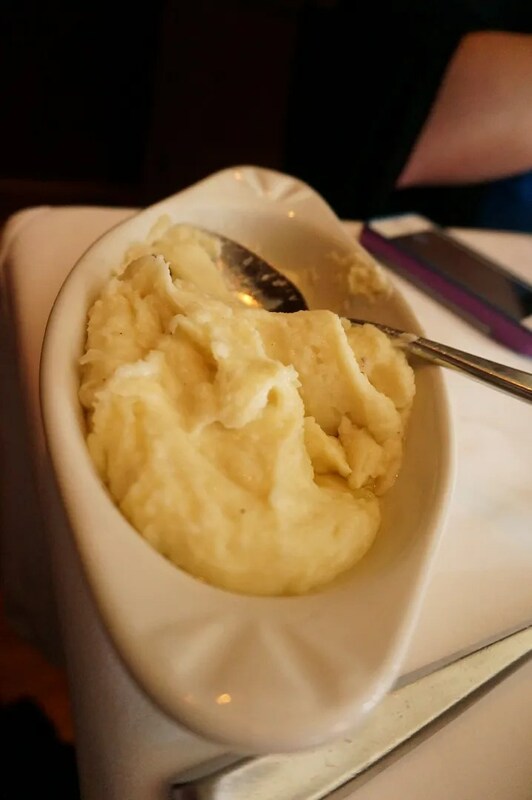 To have mashed potatoes at Shula’s you must order and pay for them separately, as no side dishes are included with your entree. But more on that later. Getting back now to my steak, it was a very good quality piece of beef and was cooked perfectly to the medium temperature that I requested. 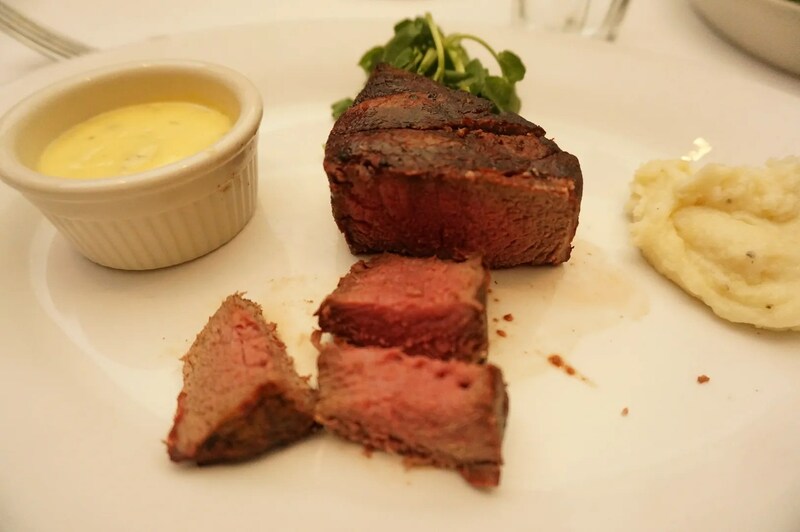 My only “beef” with the Shula’s filet is that, just like last time, I did not care for the Béarnaise sauce that is served with it. Once this was confirmed to still be the case, I resigned myself to eating my steak plain. And frankly, once again it was little boring. Now I don’t recall exactly how this came about, but somehow I ended up with Hunter’s red wine demi-glace and it was the perfect complement to my filet. It turned a good steak into a great one, so thank you Hunter! These were very good and a large serving. It was my favorite of our four sides. 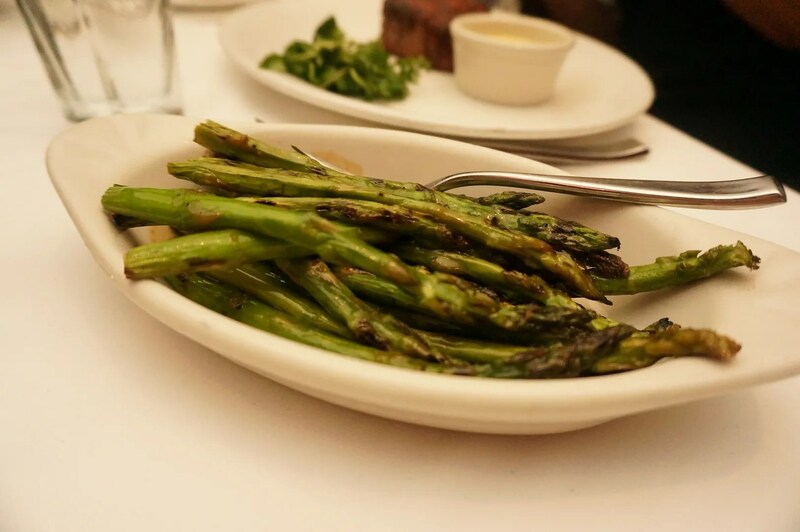 …and our fourth side was Grilled Asparagus. 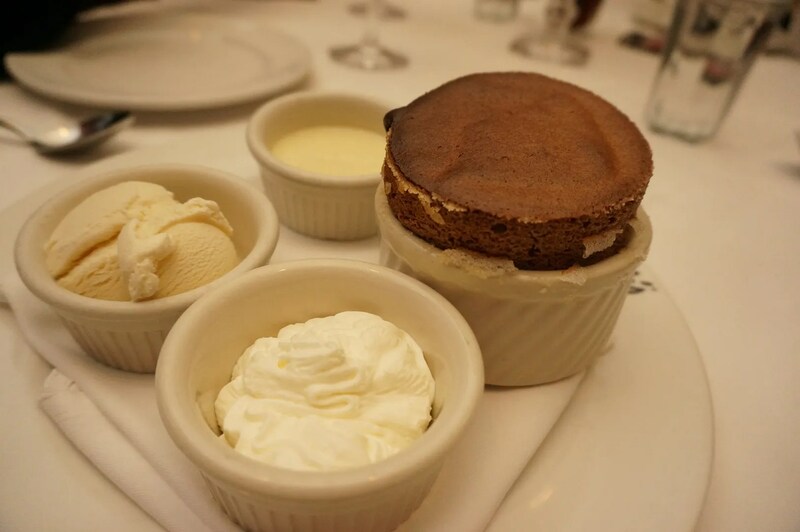 We were told that the Chocolate Soufflé and the Molten Chocolate Lava Cake took at least 30 minutes to bake so if we wanted either of these for dessert we would need to order them early in our meal. 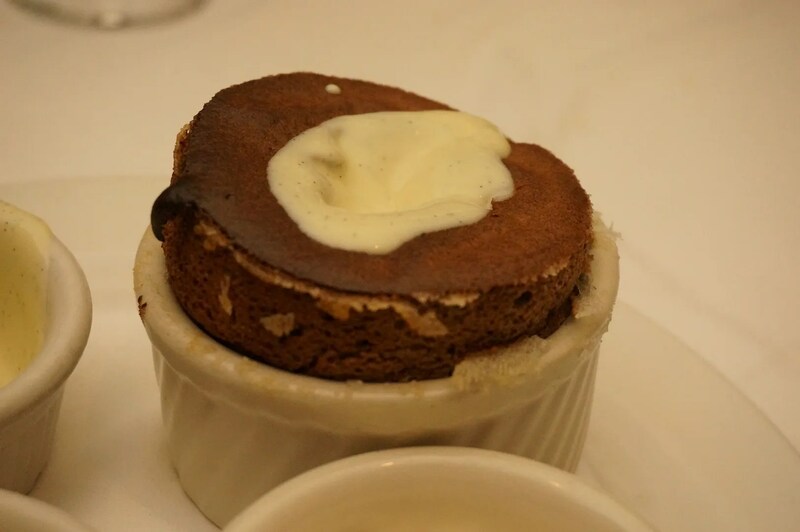 I had had the Chocolate Soufflé during my previous visit to Shula’s and loved it so I of course had to order it again. This was again delicious and everyone seemed to enjoy it very much. I know for sure that I did. 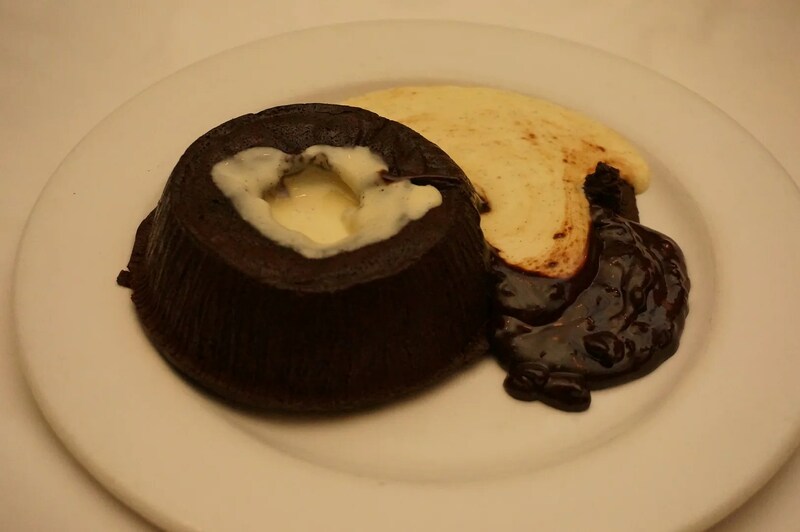 What a delicious ending to a nearly perfect meal. My one and only gripe regarding this dinner was a very minor one. 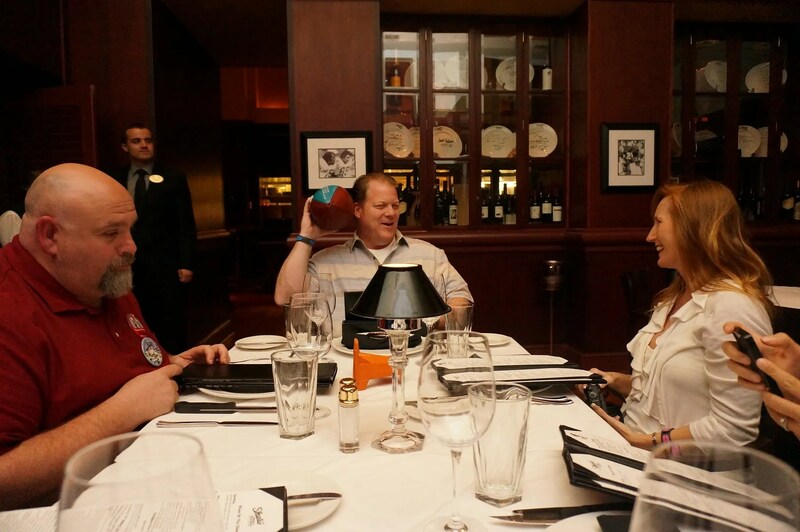 Our service was exceptional throughout our meal up until the time that we requested 4 separate checks. Our server then politely chastised us for not telling him at the beginning that we needed separate checks. I was a little surprised by this and wondered why he would automatically assume that any one of us would be picking up the tab for our entire table of six. 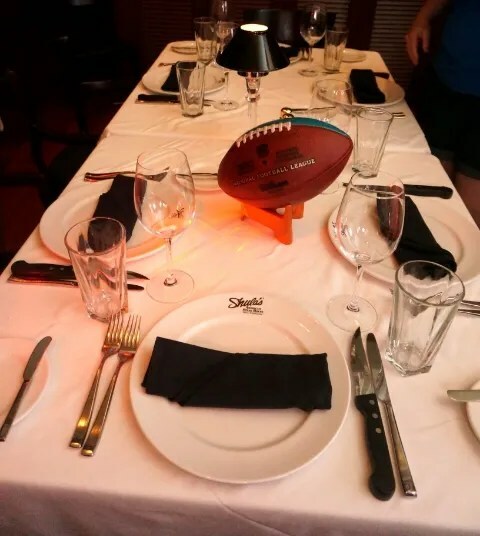 Later I realized that many of the guests at Shula’s are probably conventioneers dining on the company’s dime with one person paying the check for the group. So I guess I can now understand where our server was coming from, but at the time it made me feel a bit awkward. 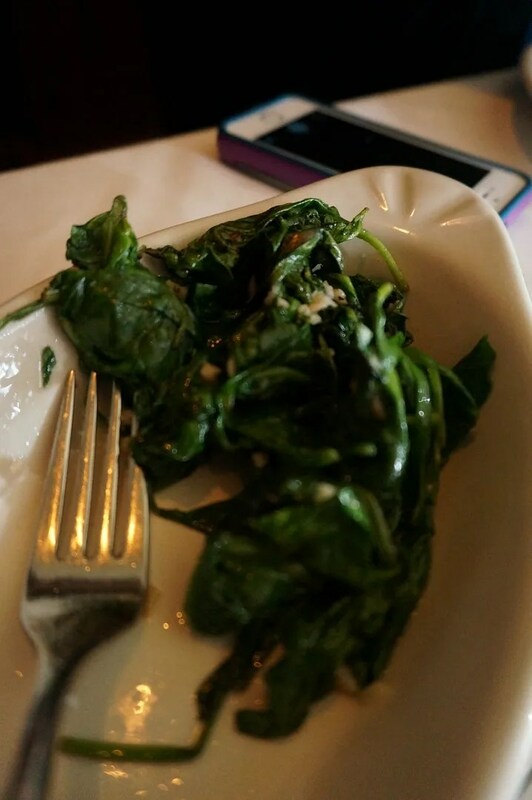 However, since the food was so good, I can easily forgive this one little flaw.